The Himalayas form the border between the world's two largest nations; China and India. Here lies Nepal. 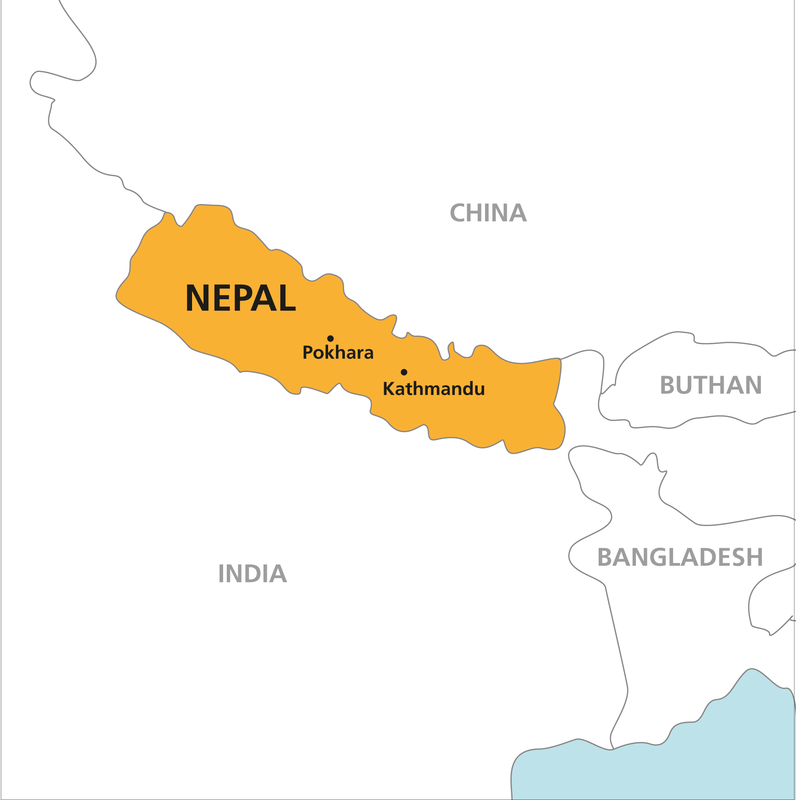 Since the peace agreement in 2006, Nepal is a democratic republic, with 30 million inhabitants spreading from the Gangess, up the foot of the Himalayas to the highest peaks and over to Tibet. Pokhara is Nepal's second largest city with around 230,000 inhabitants. The city has been an important point on the trade route between India and China. And later for mountain tours in the Himalayas, and as a starting point for mountain trips to the Annapurna Massif. From Pokharas tropical climate you have a stunning view of 8000 meters of high snowy mountains. The programme fee includes accommodation and breakfast and lunch all school days. The student houses are located in close proximity to each other in the centre of the city, near the lakeside. The students mainly stay in double or quadruple rooms. It is however possible to pay more and stay in a single room. You can also choose to arrange your own accommodation and get a deduction in the fee. The food in Nepal is in general both delicious and cheap, reflecting both old and new trade routes. Many students take the opportunity to explore the region before and/or after the study period. The studies and life in Nepal will be the natural focus during the semester, but there will be opportunities for short weekend trips. On this blog you will find posts with great photos from student life in Nepal. The climate in Pokhara is subtropical. So it is generally hot except for mid winter. Please find average temperatures and rain per month on Wikipedia. You arrange your flights yourself. But we recommend that you buy flexible tickets. Plans often change when you make new friends. With Kulturstudier you can study in Nepal, with fully transferable credits (ECTS - European Credit Transfer System), which will qualify for financing from many European state educational loan funds.